The Commission of Railway Safety (CRS) will conduct an inquiry into the Amritsar train tragedy in which at least 60 people were killed earlier this month. The matter has become a matter of great public discourse, especially raising concerns regarding the safety of people trespassing on railway tracks. Amritsar MP Gurjeet Singh Aujla held a meeting with Union Minister of Railways and Coal, Piyush Goyal and handed over a letter, requesting an inquiry by the CRS in the incident. The Ministry of Railways has considered the request and other facts, circumstances and legal provisions. As per the law, it is not mandatory, in such cases, for an inquiry to be conducted by the Chief Commissioner of Railway Safety (CCRS), but it is not impermissible either. In the past, CRS inquiries have been conducted in incidents where people have been run over by trains on railway tracks. Although the Railways does not appear to be responsible in this incident, the issue of inquiry conducted by an independent and technically competent authority, not reporting to Ministry of Railways, was considered and a request was made to the CCRS to conduct an inquiry in this matter. Considering this, the CCRS has ordered a statutory inquiry into the incident. On October 20, Punjab Chief Minister Captain Amarinder Singh had ordered a magisterial inquiry under the Divisional Commissioner of Jalandhar to ascertain the cause of the accident. 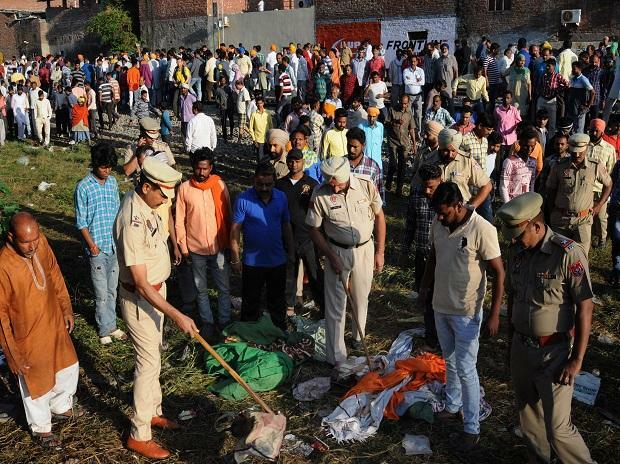 The accident took place at the Dhobi Ghat ground in Choura Bazar near Jhoda Phatak area in Amritsar on October 19 after a speeding train ran over a crowd of Dussehra revellers that had spilled onto the railway tracks while watching the burning of a Ravana effigy.